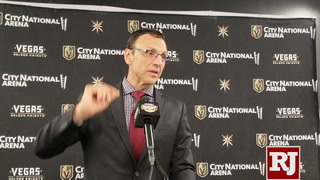 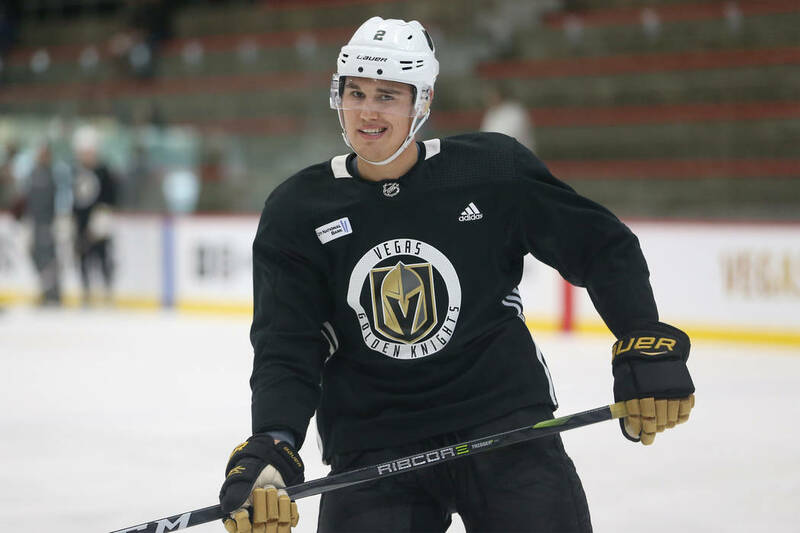 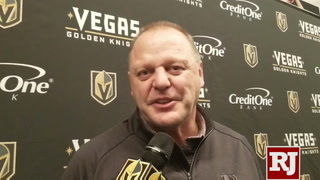 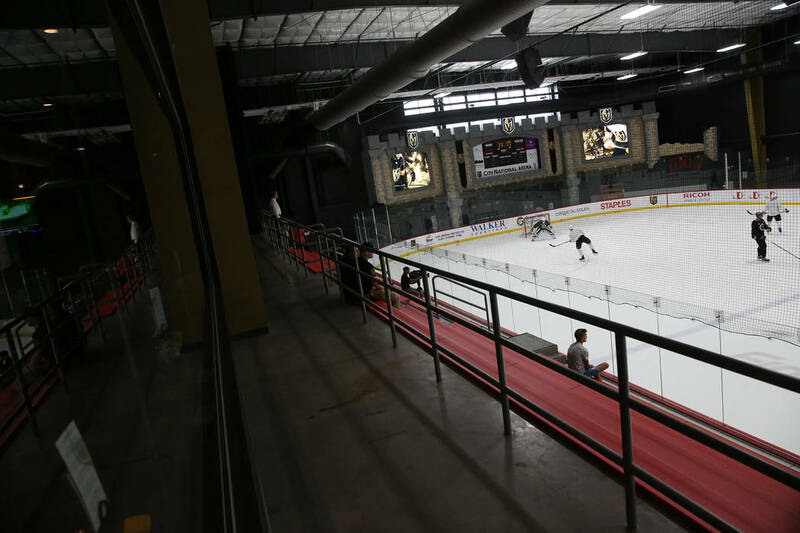 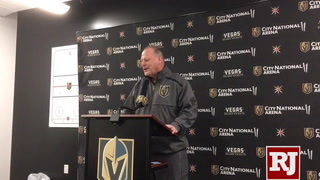 Much of the Golden Knights roster gathered on the ice at City National Arena on Tuesday for an optional captains’ practice ahead of Thursday’s opening of rookie camp and next week’s start of training camp. 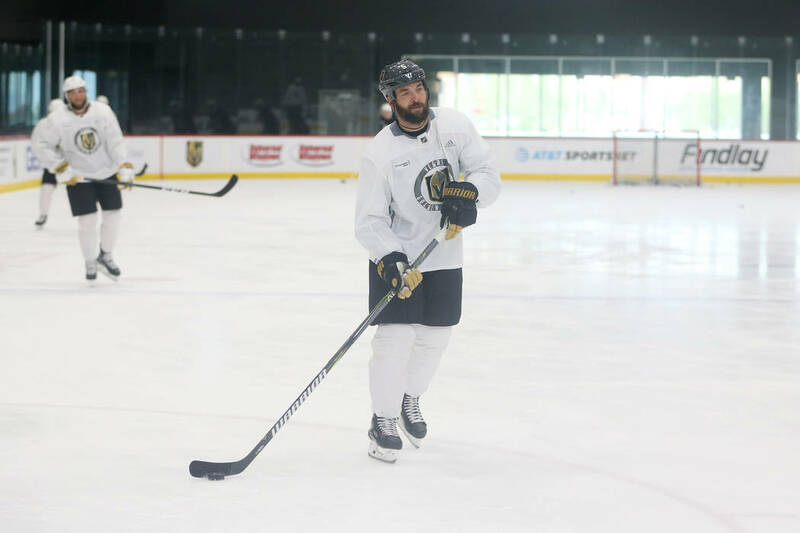 It may be more than 100 degrees outside, but summer is officially over for the Golden Knights. 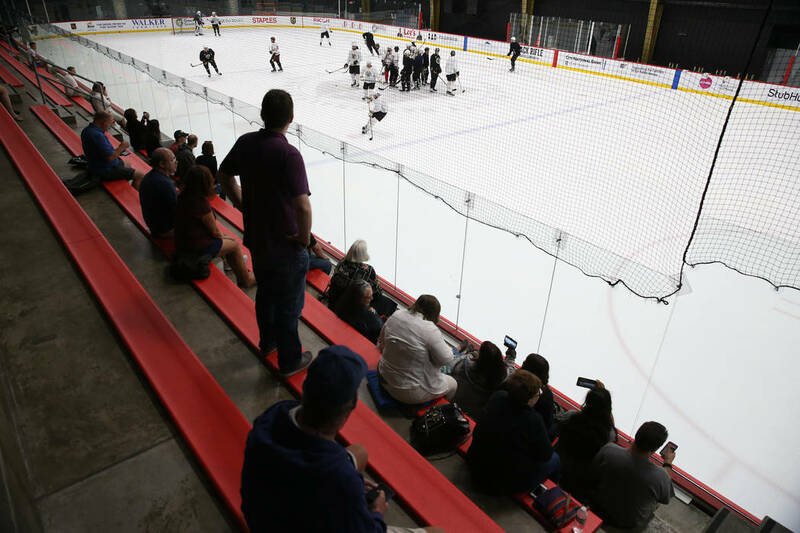 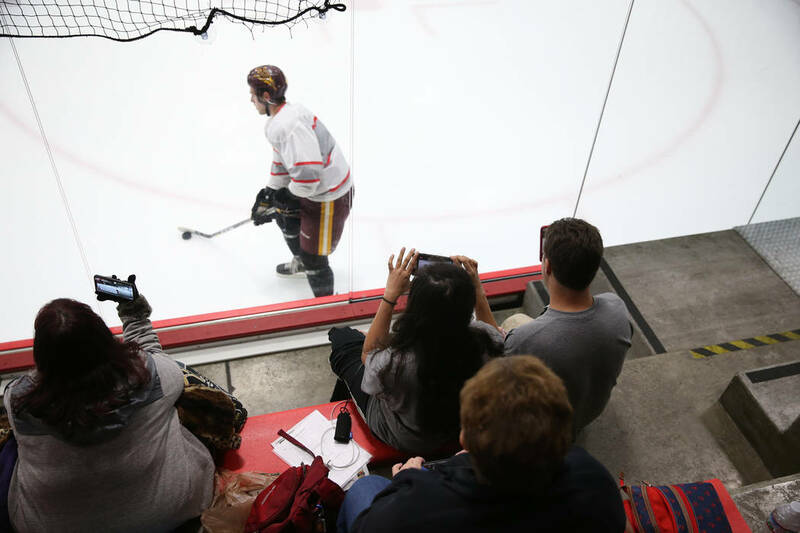 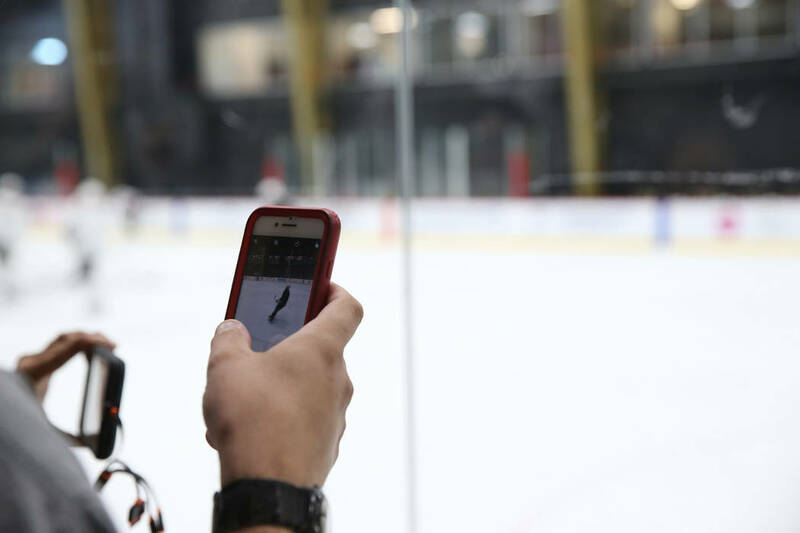 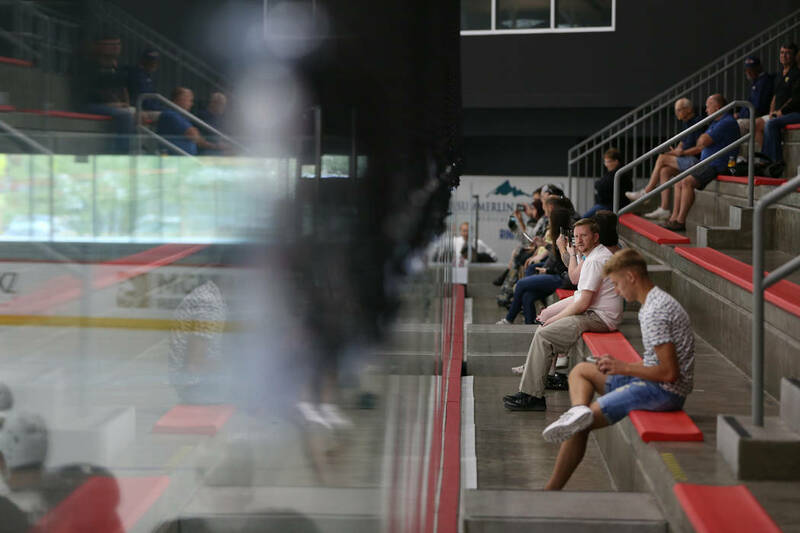 Much of the roster gathered on the ice Tuesday at City National Arena for an optional practice without coaches ahead of Thursday’s opening of rookie camp and next week’s start of training camp. 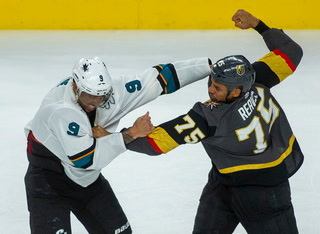 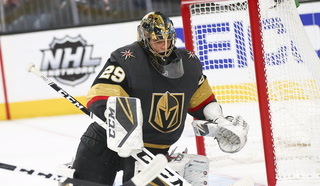 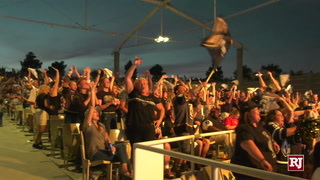 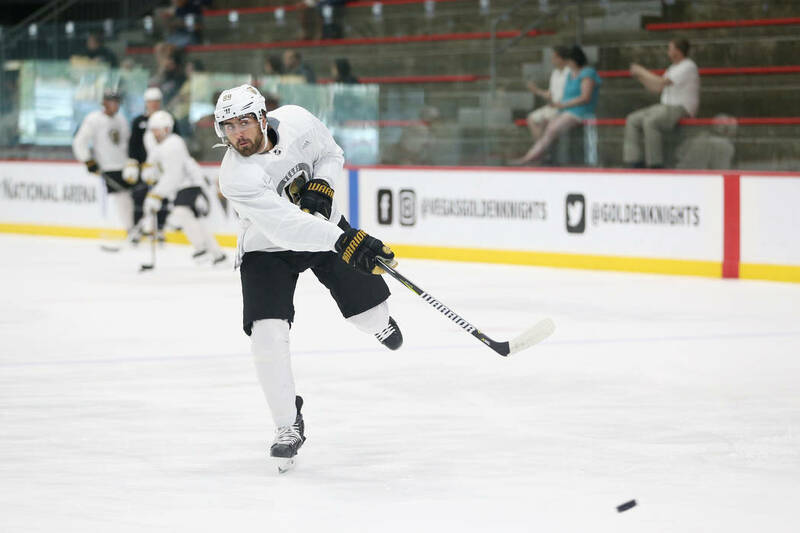 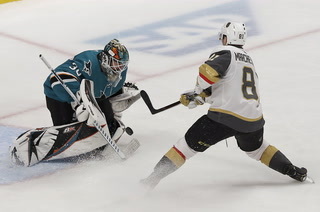 Marc Andre-Fleury and Reilly Smith were part of a group of 23 players from throughout the organization participating in drills and a scrimmage as they tried to kick the rust off after an offseason shortened by a historic run to the Stanley Cup Final. 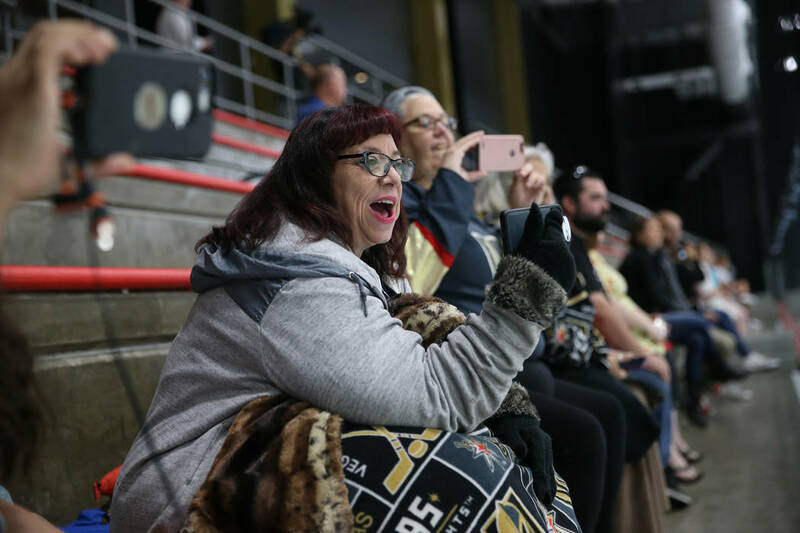 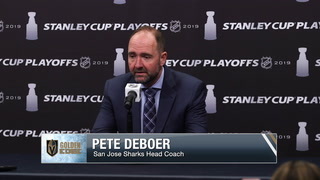 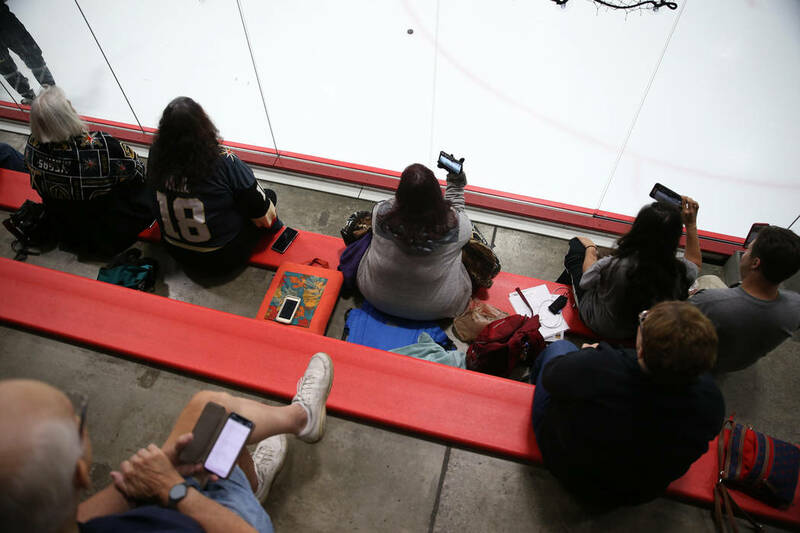 The disappointment of the loss to the Washington Capitals hasn’t gone away and may be a motivating factor in driving such a strong turnout. 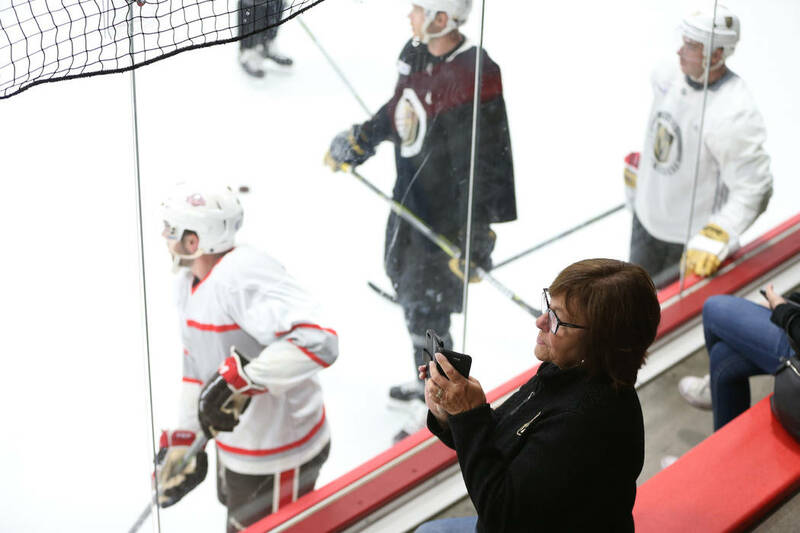 Captains’ practices are commonplace around the league. 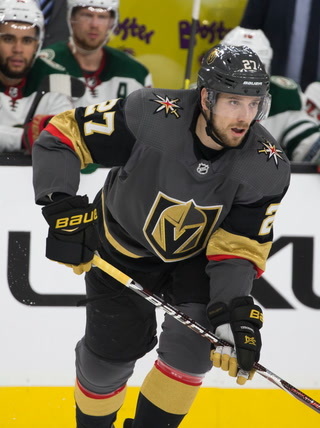 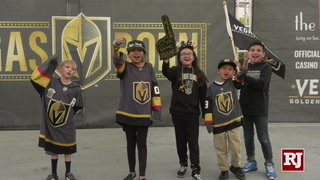 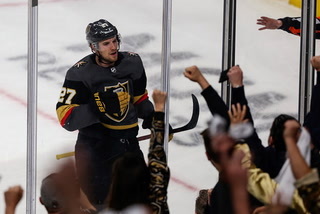 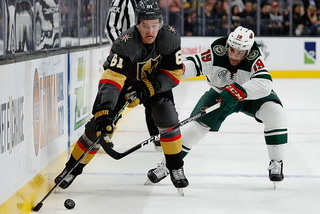 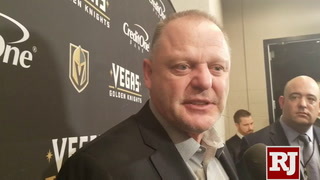 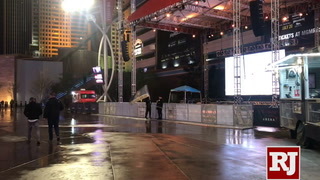 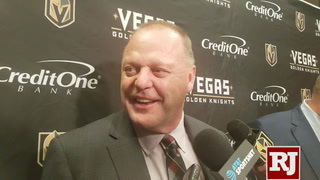 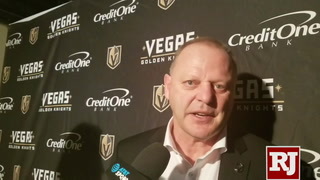 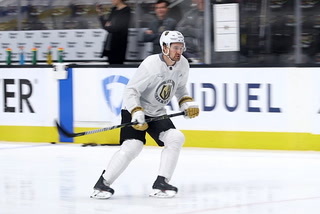 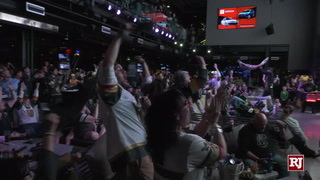 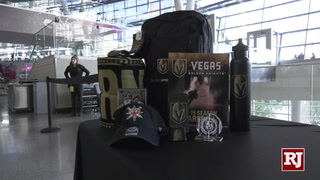 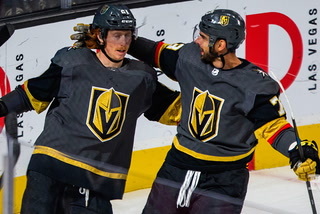 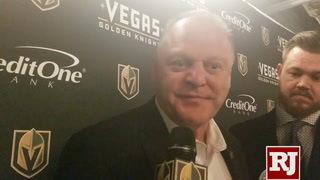 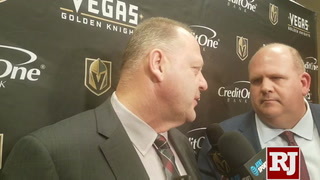 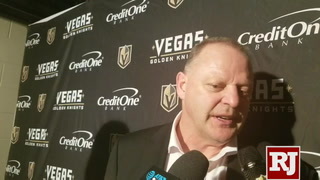 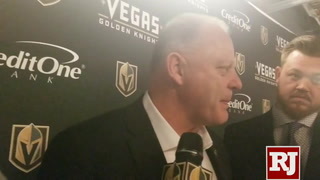 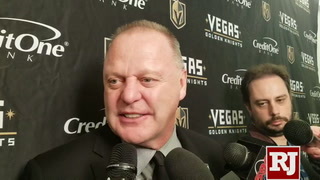 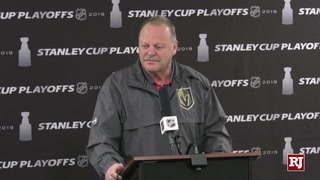 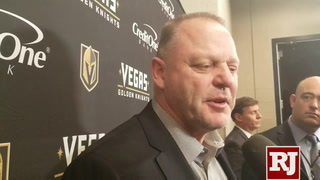 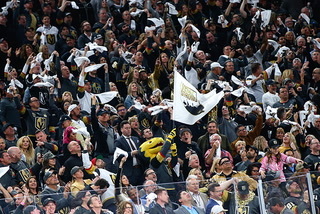 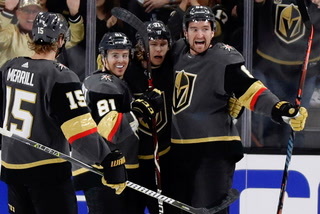 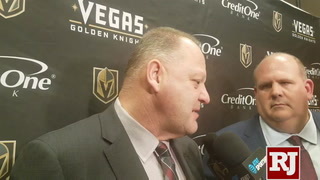 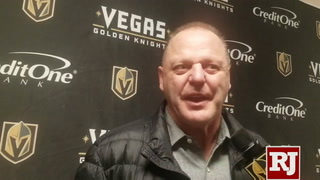 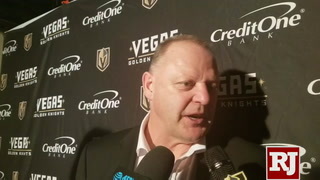 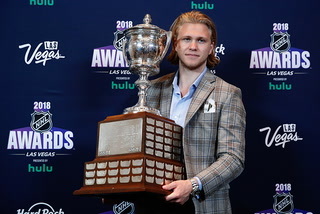 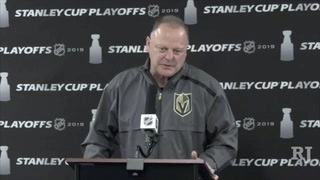 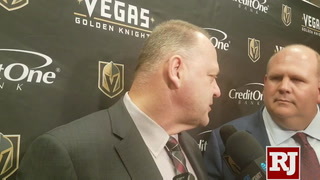 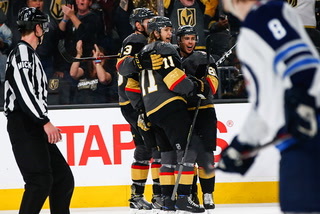 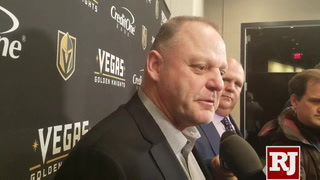 While the Knights don’t have a designated captain, Deryk Engelland, Jon Merrill and Ryan Carpenter stayed around Las Vegas most of the offseason and helped spearhead the gathering. 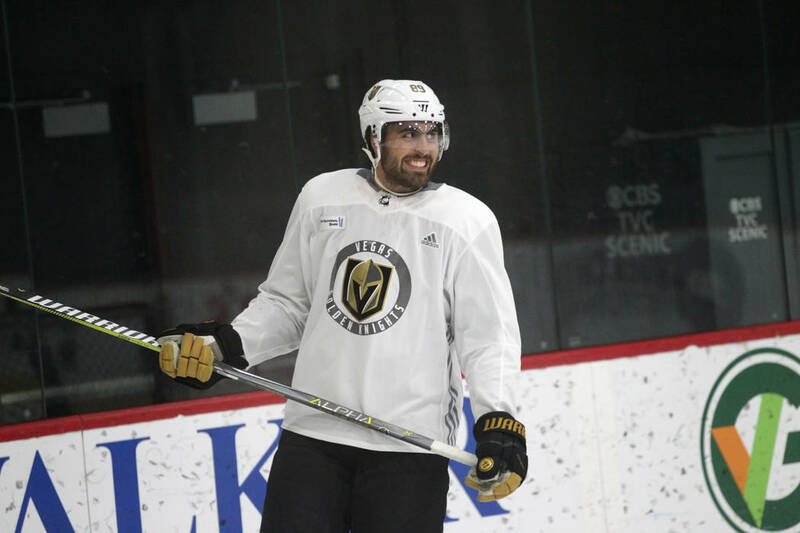 “You just try to work on things and get your lungs back a little bit and get adjusted and try to get comfortable,” McNabb said. 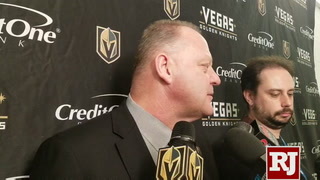 It was also an opportunity to get acquainted with some new teammates. 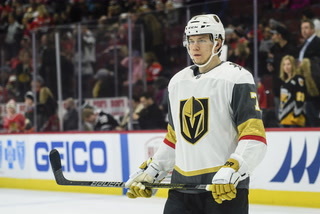 Offseason acquisitions Paul Stastny and Nick Holden both participated in Tuesday’s session. 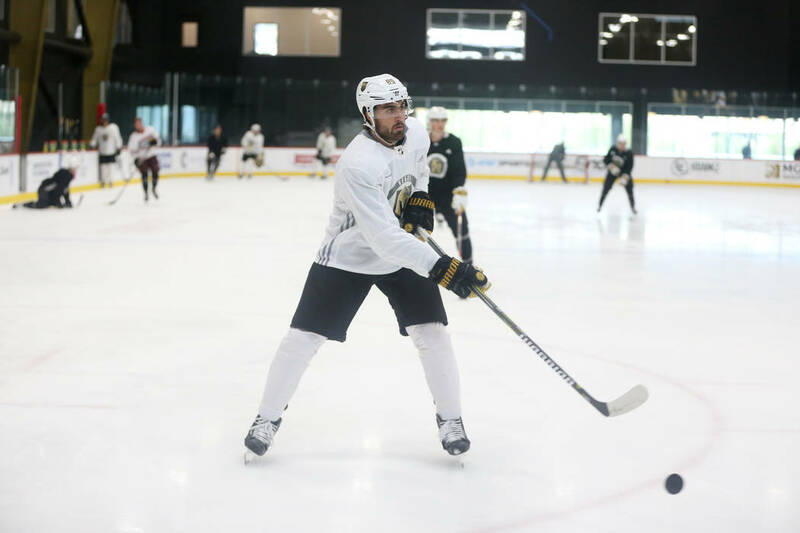 One highlight of McNabb’s offseason was a visit to Humboldt, Saskatchewan,to meet with families of victims and survivors of the bus accident that killed 16 players and team staff of a junior hockey team in April. 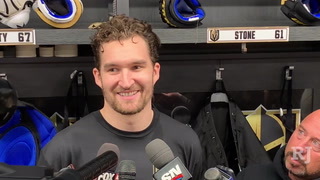 Capitals forward Chandler Stephenson organized the trip and brought the Stanley Cup to the grieving town. 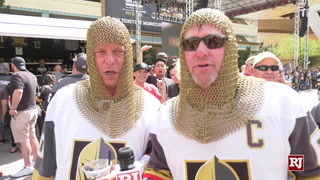 The sight of the trophy, however, was an unwelcome reminder of what could have been for McNabb and the Knights. 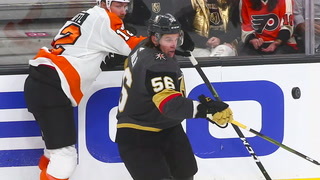 “It stung a bit, but that’s the way it goes,” he said. 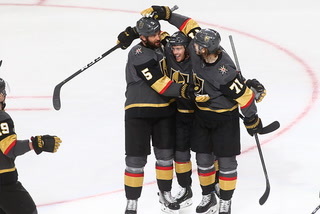 Defenseman Nate Schmidt’s 20-game suspension under the NHL’s performance-enhancing substances program won’t cost him his entire salary over that span. 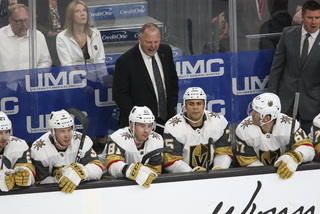 According to the league’s collective bargaining agreement with the NHLPA, suspensions for a first offense are without pay until the final 10 days of the sanction. 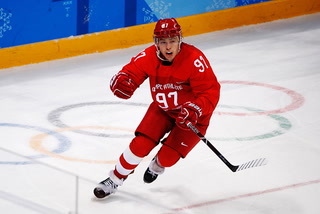 At that time, he can return to practice and begin receiving 60 percent of his salary and bonuses. 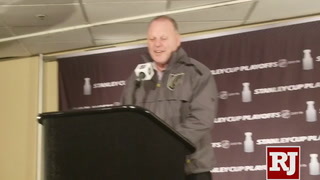 He stands to lose approximately $482,000 of his $2.3 million salary and will miss nine home and 11 road games. 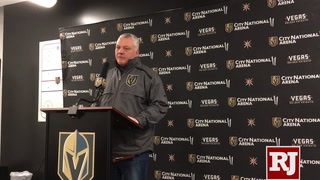 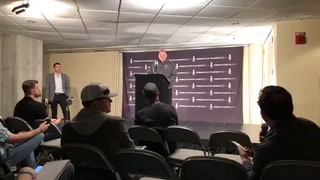 Schmidt is eligible to play again Nov. 18. 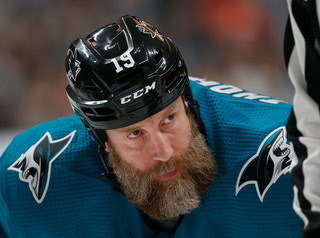 He’s allowed to participate in training camp, but not preseason games. 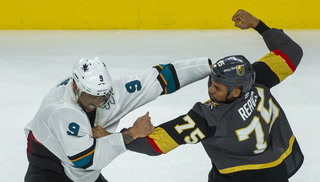 Once the season begins, he will be barred from all team activities. 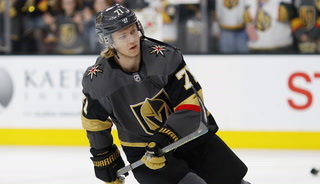 Golden Knights defenseman Nate Schmidt will miss nine home and 11 road games during his suspension for violating the NHL’s performance enhancing substances program.